This "Visual Confections that Sell" video below, defines what visual confections are, how to use them in sales situations and outlines our process to create them. The video requires no registration form to play and runs for about 14 minutes. It will be of interest to a broad audience who want to communicate their ideas more effectively in a shorter space of time. 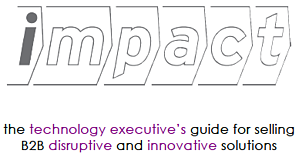 It will be of particular interest to those interested in leading with an opinion, supported by a visual confection, to disrupt status-quo thinking. If you would to download the visuals and script or discuss converting your PowerPoint presentation into a visual Confection, or give feedback on the video, please complete this Let's discuss Visual Confections form. Visual Confections help sales people convey their value creation story, creating confidence that leads to better buyer engagement. Visual Confections combined with visual storytelling technique, help sales people get their big idea across more effectively in conversation. The process of of creating Visual Confections aligns sales and marketing messaging and brings value creation into clear focus. Visual confections when used in sales training can help reduce sales ramp time and foster stronger message ownership, leading to improved sales results. I'm delighted to introduce Jock Busuttil, my guest blogger this week on a subject that is near and dear to my heart; - connecting sales and product management with the customer. Jock Busuttil is a Senior Product Manager and an alumnus of Advanced Marketing Concepts. Quarter-inch drills or quarter-inch holes? Despite relying on each other for the success of their products, the Sales and Product teams often have a jarring relationship. This is far from ideal. By looking at where things go wrong we can identify a better way of working with each other. The prizes on offer: shorter sales cycles, more easily achieved targets and customers who are always happy to hear from you. Where do things go wrong? Dysfunctional relationships tend to be caused by a failure in one or more of these areas. There are actually three relationships in the mix. This is how Jock sees it, he's a product marketing professional. While we’re looking at how Sales and Product Marketing work with each other, it’s worth remembering also that each has a relationship with the customer (or prospective customer). This customer focus provides a way to align the Sales and Product teams around value creation. “People don’t want to buy a quarter-inch drill. They want a quarter-inch hole.” (Theodore Levitt). 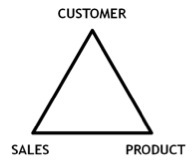 It should be so simple: customers need something, Product builds it, Sales sell it to the customer, everyone’s happy. Why is this so difficult in practice? A common mistake made by both Sales and Product is that the customer wants the widget, gadget or solution that they’re selling. Wrong! What the customer really needs is an outcome, for their problem to vanish as simply and easily as possible. Your widget, gadget or solution is just one way to cause that problem to vanish. Sometimes what the customer needs is very different from what they want. A good Product team should be concerned with uncovering the outcomes that customers need, establishing the value of that outcome (i.e. how painful the problem is to the customer), then creating a solution that achieves that outcome in the most effective (and profitable) way. One of the best ways that Sales can help Product build the thing that customers really need is to have a healthy sense of curiosity. When you meet with a customer, they will probably tell you what they want, perhaps without realising what they need. This is understandable: the customer may not know that they have a problem in the first place, let alone know how to solve it. This is where you come in. Keep asking “why”; eventually you’ll get to the customer’s underlying pain points and understand how painful they are. This is something we can help the customer with right now. Great! Show the customer how to reach their desired outcome there and then. Laser-sharp focus is needed here – digressing into irrelevant features and benefits at this point will dilute your message. This is something we could potentially help with in the future. Bring the information you’ve gathered back to the Product team, but don’t commit to the customer at this stage. You’re not yet sure whether a solution is possible or when it could be delivered, and broken promises are a sure-fire way to kill a healthy customer relationship. This is not something we can (or want to) help with. If you go to a car dealership and ask for a speedboat, the Sales rep will politely show you the door and possibly direct you to an optician. If it’s clear that you can’t help the customer with a problem, move on to one you can help with. Do provide feedback to the Product team regardless. You never know, it may be time to diversify! It’s worth bearing in mind that you can only come to one of these three conclusions if you really understand what problems your company and products solve and how to show the customer how they do so. Equally important is to know what problems they don’t solve. If you’ve ever attended a customer meeting with an effective Product person, you should notice that they spend most of the time listening to the customer’s problems, then quickly home in on the one or two specific and relevant ways to solve the problem, which then resonate with the customer. A market of one, some or many customers? This leads us to one of the main differences in priority and driver between the Sales and Product teams. We’ve explored how the Product team benefits from you being curious and asking the customer “why” to uncover those painful and profitable problems to solve. But they’re working not just with you solely, but with the Sales team as a whole, as well as having their own direct dialogue with customers. With all these sources of information, the Product team ends up with many problems to solve, all competing for a constrained set of resources (time, people, budget). Their goal is to achieve the best outcome for the company by focusing on the best outcome for the target market. To do this, they need to prioritise the entire set of problems they could solve into a smaller set that they will solve. This filtering process is necessary and means implicitly that not all customer problems will end up being solved. Remember: the dealership sells cars, not speedboats! Don’t take it personally if they occasionally say “no” to you – they’re balancing the needs of the whole market against the needs of an individual customer and taking into account the long-term and short-term gains of what they will deliver. You’ll be having more and better quality conversations with prospective customers who have problems you can solve there and then. You’ll be empowered to quickly home in and demonstrate how you can solve their problem and let the product sell itself. Once you’ve established a track record of success, you’ll be working in partnership with the customer to solve their problems so they’ll start to bring them to you, rather than you having to uncover them over time. Treat the Product team as allies. You’re both working towards the same goal, but in different ways. Appreciate and respect those differences and you’ll enjoy working and winning business together. Jock Busuttil is a Senior Product Manager and an alumnus of Advanced Marketing Concepts. He has worked in B2B enterprise software for over twelve years for companies such as Zeus Technology (now part of Riverbed), Iron Mountain and Experian. Jock is the author of imanageproducts.co.uk, a blog for product managers and marketers, and provides training and mentoring for product people. He holds a degree in Classics from the University of Cambridge, UK. You can find him on Twitter and on LinkedIn. 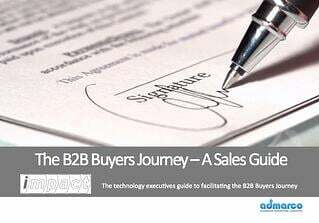 B2B Sales and Marketing in Transition - What's working? How important is clarity in your messaging and how clear is your message? I'd say it's the difference between life and death for start-ups. Sales and marketing are dependent on the clarity of your message to win mindshare, generate leads; and to engage, diagnose and qualify new opportunities, yet clarity is often an afterthought. I was prompted to write this article after a call this week with a technology company based in the Mid-West. This company has World leading technology, great vision and is completely failing in marketing. They are in the red zone. When you arrive on their Website it is not possible to figure out that they do on the home page. Nor is it possible to figure out what they do by clicking on the CTA. You have to click on the product page to find the description of what they do and it's in 10 point font in the middle of the first paragraph. This is not a joke....this is a disaster. Why Invest in Message Clarity? 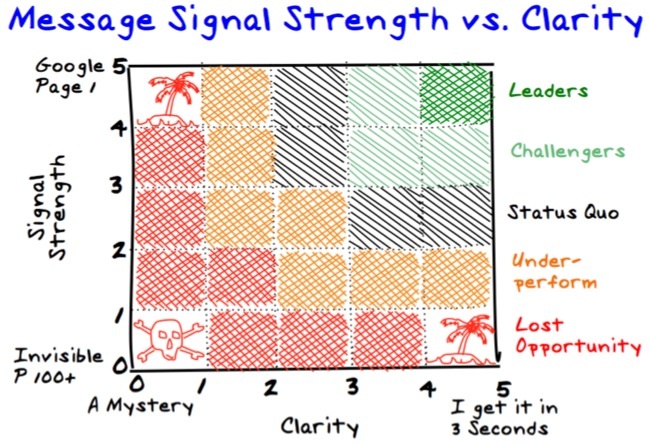 Clarity attracts visitors, clarity engages visitors, clarity converts visitors into leads, clarity differentiates, clarity is monetizable, clarity wins new customers, clarity attracts employees, clarity builds mindshare, clarity wins investors, clarity builds market-share. You will see an new and clearer Admarco.net Website in the near future in pursuit of our own message clarity. How do you measure the effectiveness or signal quality of your message for Inbound Marketing purposes? For radio operators in the military and other organizations, the signal quality is reported on two scales; the first is for signal strength, and the second for signal clarity. Both these scales range from one to five, where one is the worst and five is the best. The listening station reports these numbers separated with the word "by". "Five by five" therefore means a signal that has excellent strength and perfect clarity — the most understandable signal possible. This is a good metaphor to explore how well you are communicating over the Internet. I propose the following as a basis for discussion on the effectiveness of your messaging for Inbound Marketing purposes. Green Zone: The leaders in dark green have invested and continue to invest in messaging excellence as a primary driver of their business. Light Green: The Challengers believe in messaging and are working towards excellence. Black: The status-quo need help with their messaging, but for one reason or another, it doesn't get done. It's not terrible and it's not great, the sales guys will have to make more calls. Red: This is the land of lost opportunity. It doesn't matter how good your products and services are, if buyers can't find you and your message is opaque, you are headed for failure...soon. Urgent action must be taken in the short term. Desert Islands: It is highly unlikey that a company will have a crystal clear message and be invisible on Google. Similalry it is highly unlikely that a company will have excellent Google rankings and have a completely unintelligble message....but there may be a few out there on desert islands. Signal Strength = Google Ranking for primary keywords. 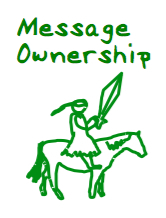 Messaging clarity = What is it you do and why should I bother? When someone arrives on a Website with a clear message, they should be able to figure out what you do in the first 3-7 seconds while they make their decision to stay and explore more or leave. 5 = I get what it is you do and what it will do for me in 3-7 seconds. 1 = I can't figure out what it is, I click on a CTA and I still can't figure out what it is, but I try the product page and there it is buried in 10 point font in the first paragraph. If you are in the red, orange or black, we can help. 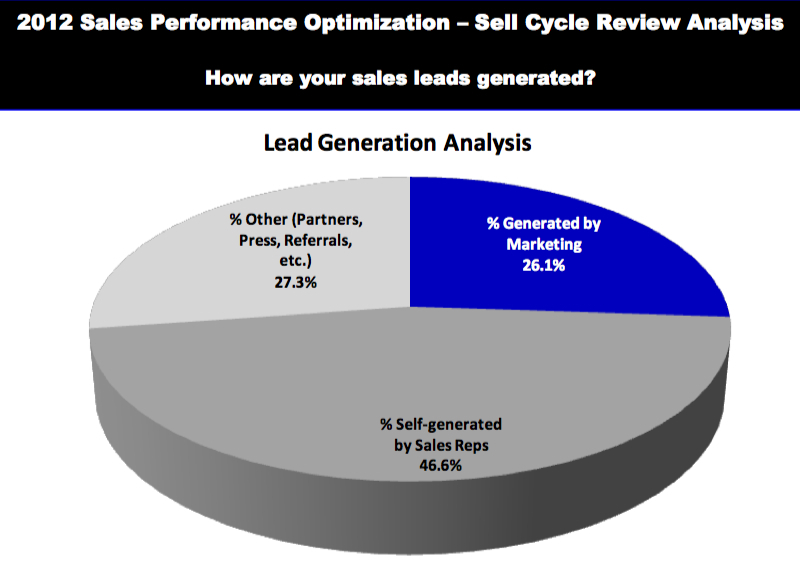 Looking in the Wrong Place for Sales Performance? 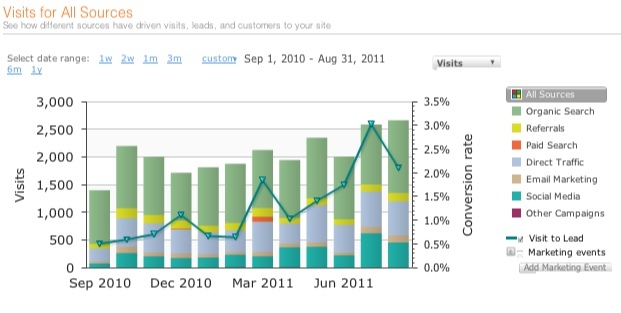 In the past year we have generated hundreds of inbound leads using our HubSpot system and I've noticed an interesting trend that I thought I would share. I have come to realize that many sales and marketing leaders are looking in the wrong place for sales performance.